One goal of marketing/comms is to CUT through the clutter and be seen, noticed, heard, etc. And marketers are pretty good at cutting. But sometimes, the exposed blade of comms can do a bit more damage than good. This week, Roseanne decided to tweet and be funny and now she’s unemployed with a good-sized crisis on her hands. So when is the decision to ... Más informaciones stay quiet better than saying something? We’re going to talk about this and the many fascinating overlooked aspects of communications — when the whole thing goes south on you. 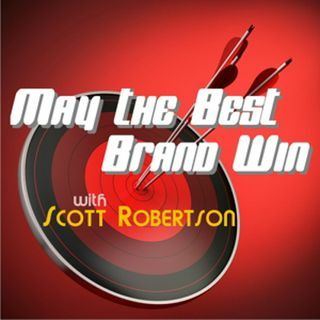 All this plus a look at who’s winning and losing on the next Razzy-nominated award-winning episode of May the Best Brand Win on Entertalk Media.